I used lowfat cream cheese and whipped topping and my pie was delish. With an electric mixer, beat cream cheese and sugar until smooth. Blend in peanut butter and vanilla. Fold in whipped topping. Spoon mixture into prepared pie crust. Refrigerate for at least 4 hours. 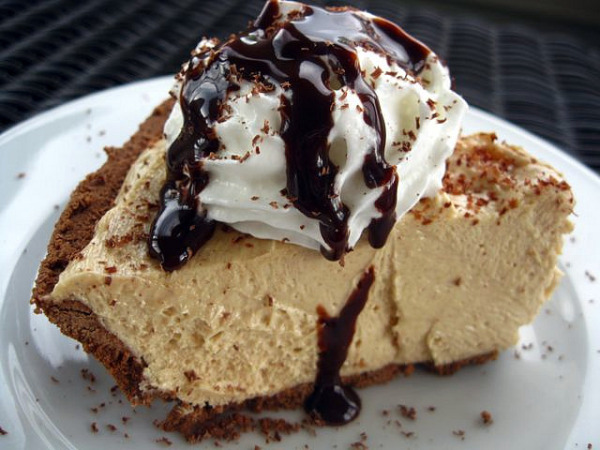 Garnish with whipped cream and chocolate syrup, with a sprinkling of grated chocolate. Keep refrigerated.